Glenshaw Mansions is situated in West Hampstead close to the railway line. 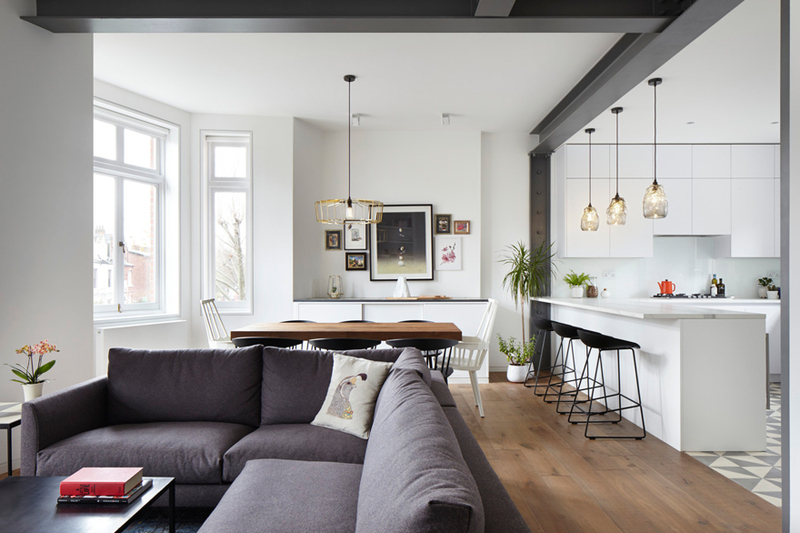 The challenge was to re-organise a dark flat with cellular spaces and disjointed layout in a 19th C Mansion Block in West Hampstead. 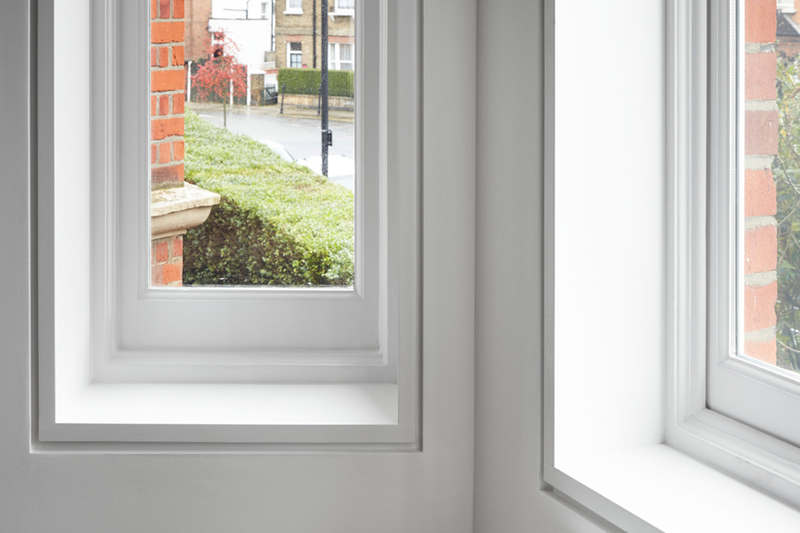 The project reduces the existing long entrance corridor, a typical Mansion Block feature, separating private from public areas in order to create a large daylight-filled open-plan public space. 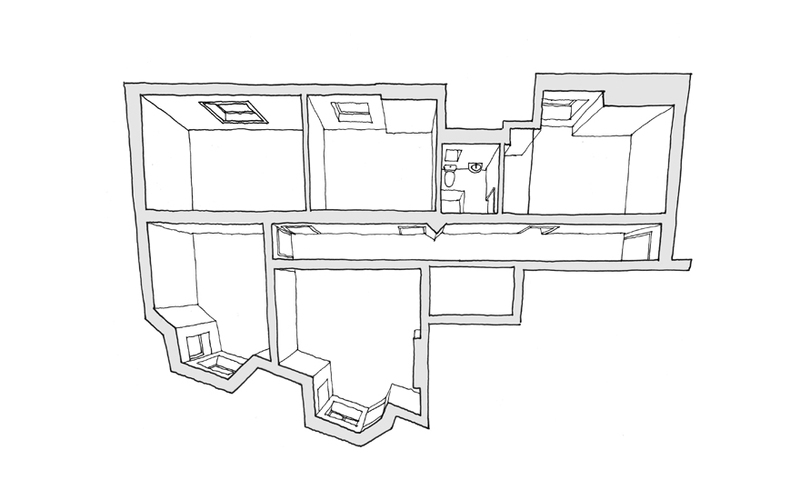 The flat had no original architecture features of interest, leaving it ripe for modernisation (only existing item remaining post renovation is the intercom – wasn’t possible to change due to old intercom system for whole of Mansion Block). 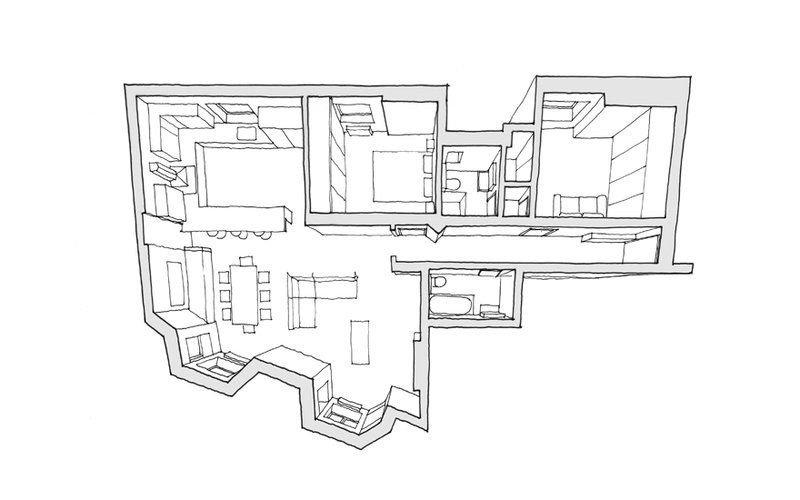 Three internal structural walls in the area farthest from the entrance were removed to create an open-plan area for the Living, Dining and Kitchen. 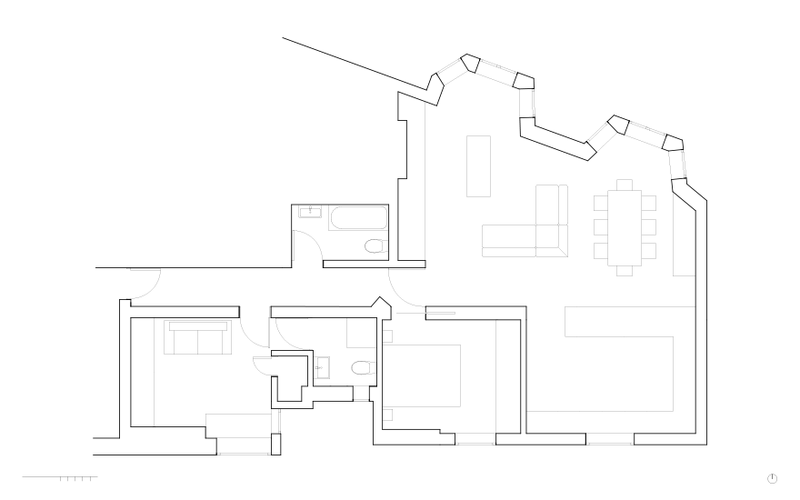 The bedrooms and bathrooms are accessed from the entrance corridor which was shortened to minimise circulation space. 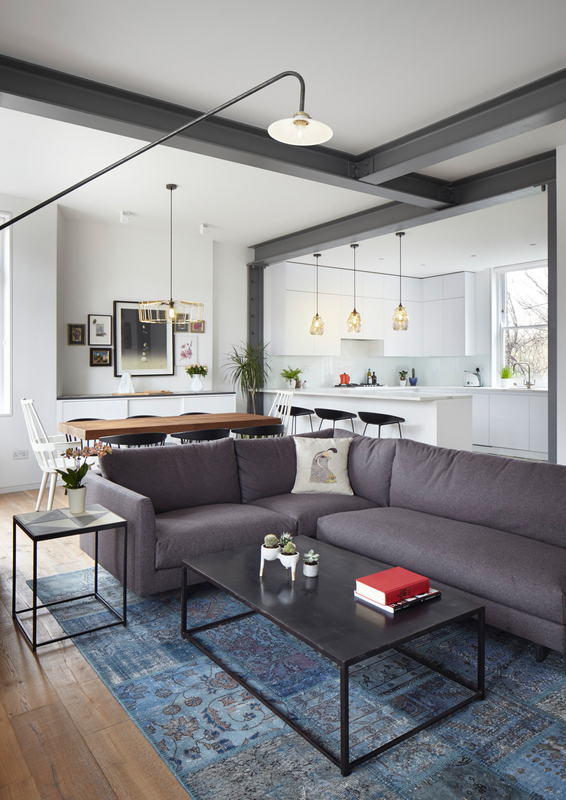 The material palette was chosen to achieve calm relaxing spaces throughout. 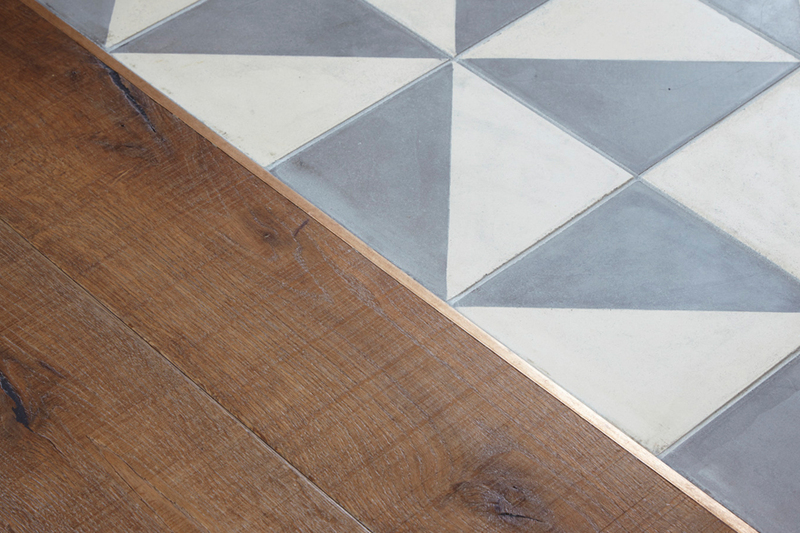 A distressed Oak floor, which leads from the entrance to all spaces changing only for the Bathroom, Ensuite and Kitchen unifies the private and public spaces throughout. 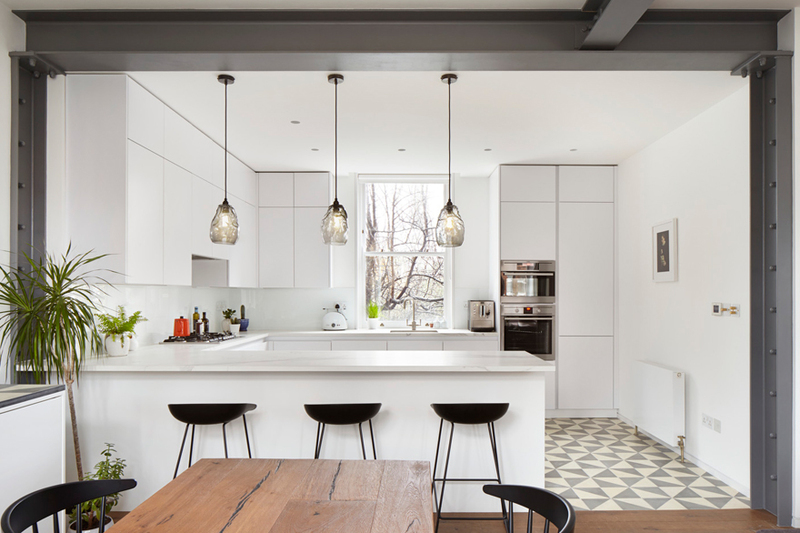 In the public open-plan area the steel beams and columns were exposed, reminiscent of a previous layout, and painted to match the grey of the Encaustic tiles in the Kitchen. 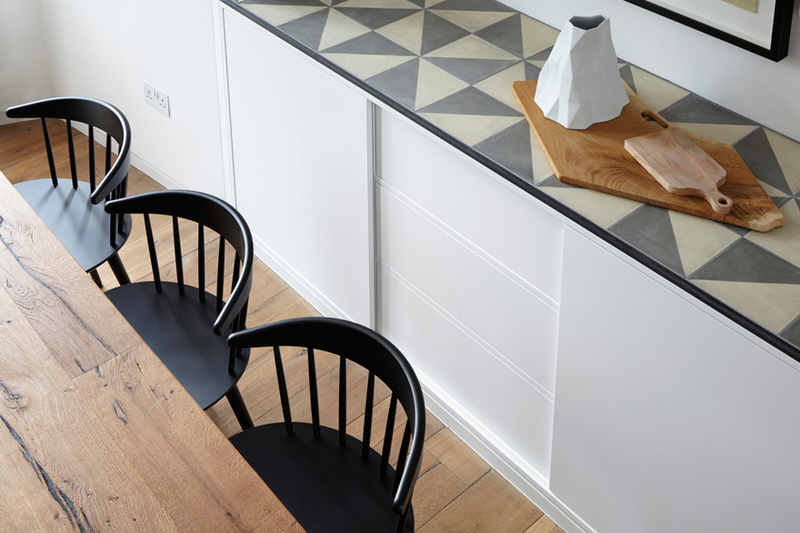 The Encaustic tiles permeate the Dining and Living areas by becoming worktops for a dining cupboard and coffee table. 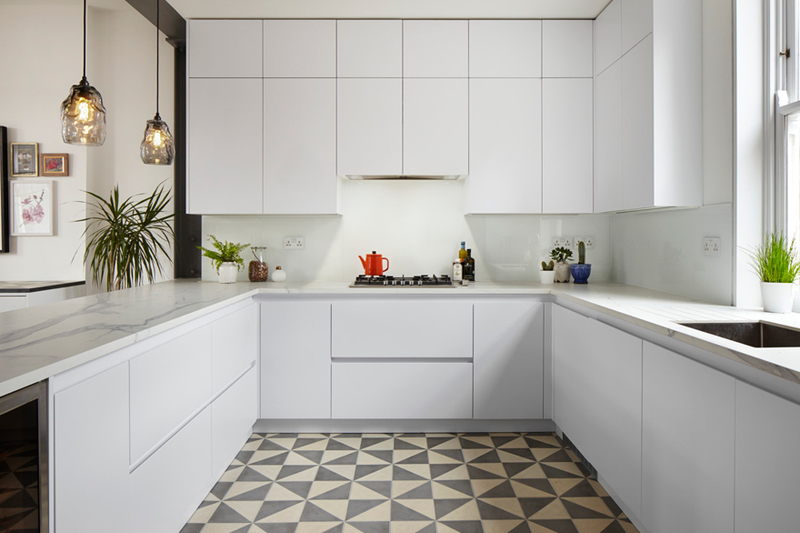 Three coffee tables were designed in the same aesthetic as the larger components of the flat, using black Mild Steel for carcass and for the worktop Encaustic tiles (from Kitchen), distressed Oak (from floor throughout) and black Mild Steel. Please refer to Furniture section on menu on LHS for more information on the Glenshaw Coffee Tables. 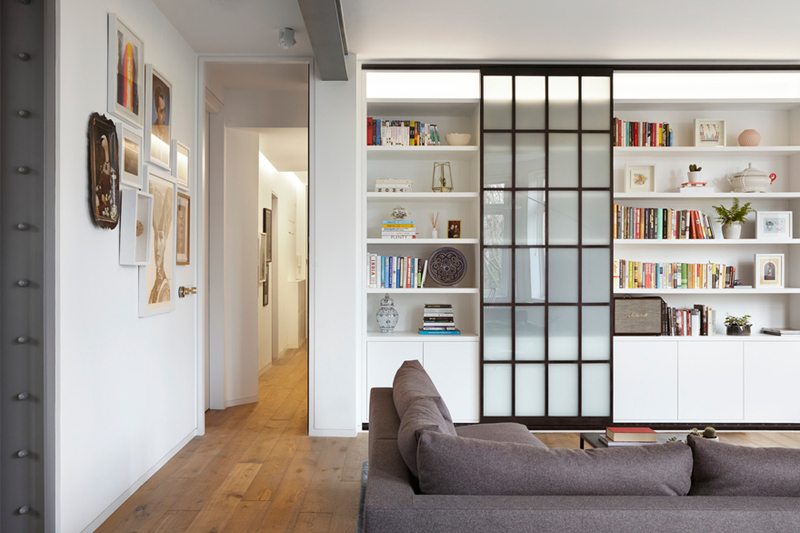 A black Mild Steel framed opaque glazed sliding door is used to conceal the television in the Entertainment wall when not in use, which balances the space creating a dialogue with the aged-Bronze clad door at the end of the Entrance Corridor. 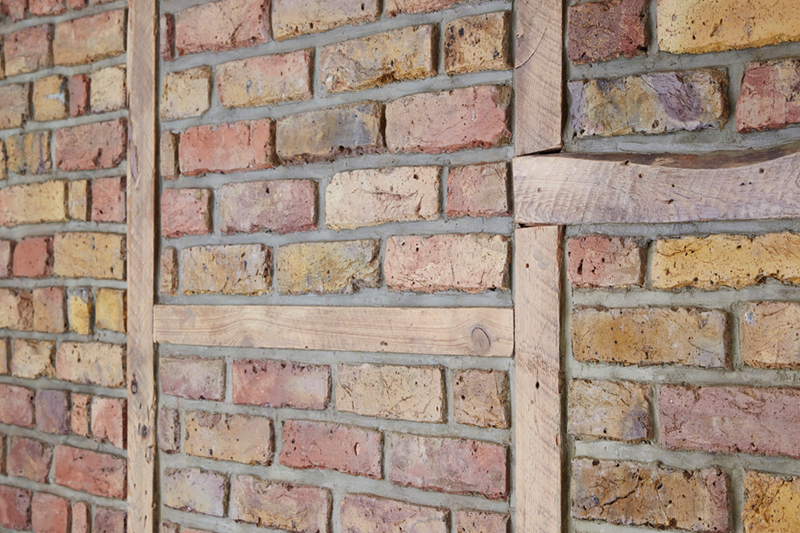 The built-in joinery throughout is generously scaled, robust in form and meticulously detailed. Two floor-ceiling aged-Bronze clad doors enclose the Entrance Corridor, creating a strong distinction between public and private spaces. 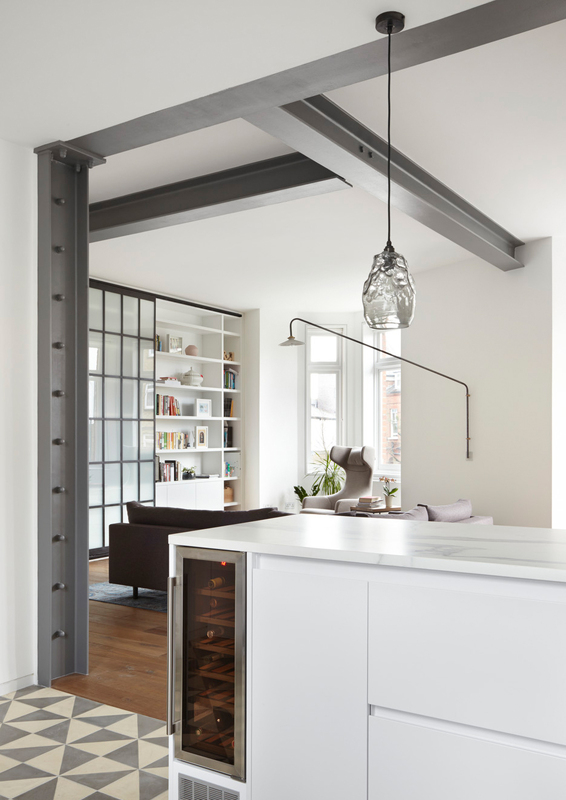 Bronze bar was used on the thresholds of all rooms. 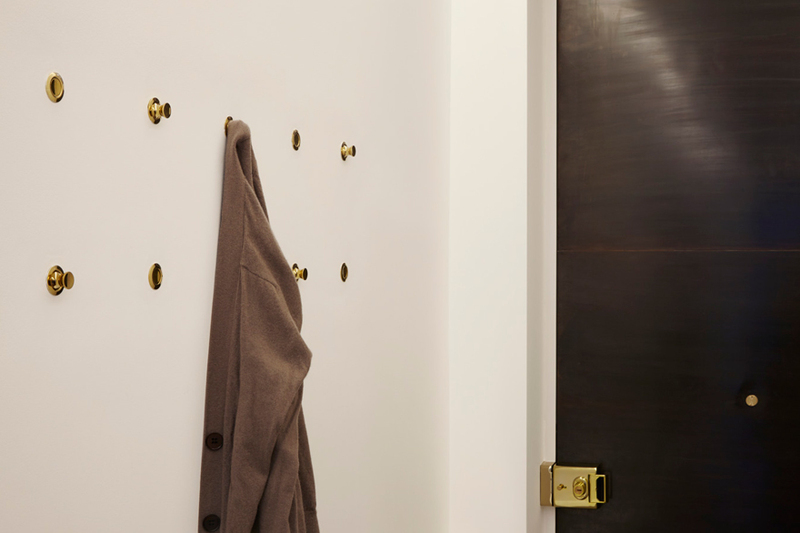 Brass Buster and Punch switches and sockets punctuate the spaces along with the push button in/out brass coat hooks by the Entrance door. 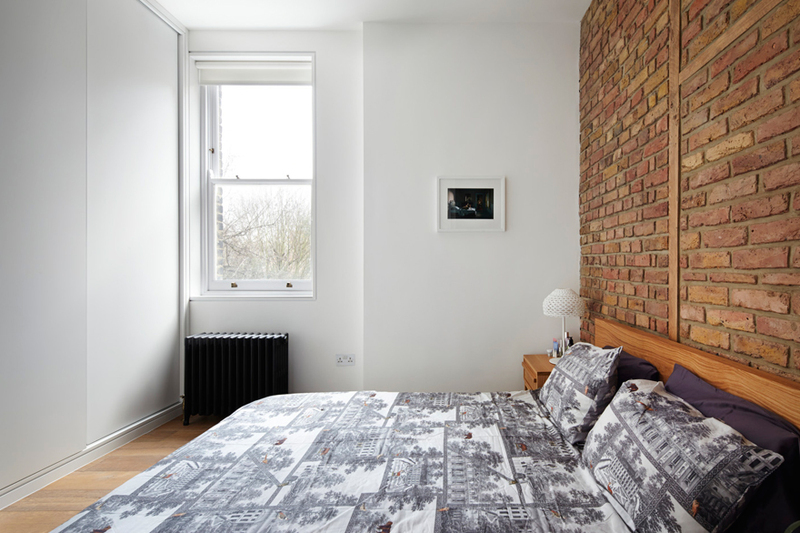 In the master bedroom the existing brickwork and timber framing of the internal wall was exposed and lacquered to create a sense of separation from the private spaces. 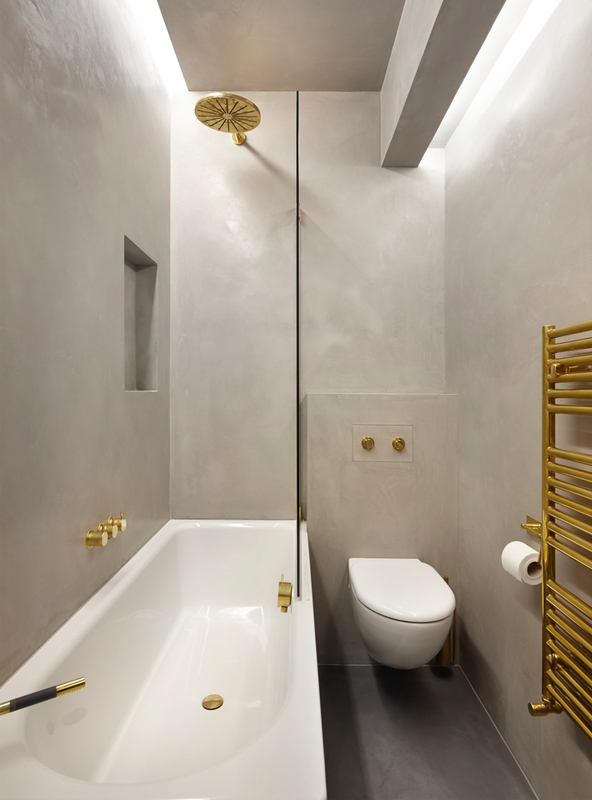 Light grey Tadelakt was used for the Bathroom walls punctured with brass Vola fittings and a dark grey micro-screed for the floor to create a cave-like sanctuary. 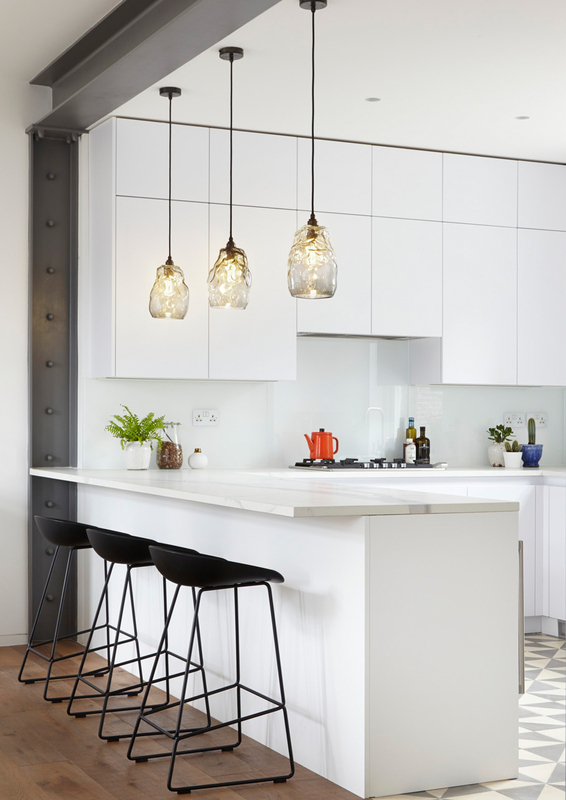 The El Montovano brass pendant light was designed to compliment the ironmongery and fittings throughout the flat. It is positioned above the chunky distressed Oak ‘floating’ Dining table which was made from laser-cut brass sheet. 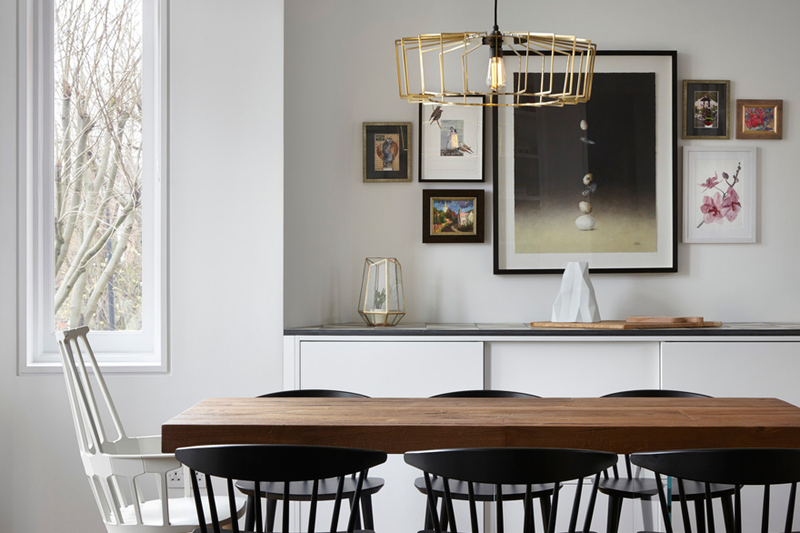 Please refer to Lighting section on menu on LHS for more information on El Montovano Pendant Light.